What Do the Tax Changes for Buy to Let Properties Mean for You? With low interest rates and a volatile stock market, over the last few years, anyone with money to invest has been pushed towards the property market and buy-to-let has been an easy way to access that market. But changes to tax relief rules and last year’s 3% increase to stamp duty on buy-to-let properties mean that anyone considering buy-to-let should do their sums carefully, while existing landlords need to know what their options are to protect their investment. From April 2017, tax relief on mortgage interest payments will be limited to a flat rate of 20%. Previously, landlords have been able to claim tax relief on mortgage interest payments at their marginal rate of tax. The changes mean that any landlord whose income tips into the higher rate of 40% or the top rate of 45% will only be able to claim tax relief on their basic rate. So some landlords will need to pay a larger tax bill that might make the difference between making a profit and incurring a loss. Why is tax relief on mortgages such a big deal? 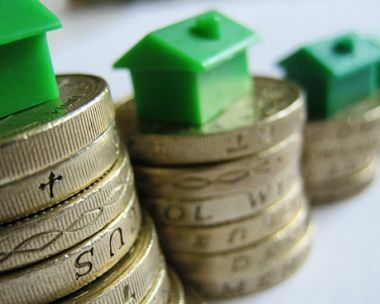 The rationale for investing in property has been that landlords can achieve capital growth on their investment through rising house prices – hoping that their £200,000 house might be worth £250,000 in a few years – coupled with rental income that would at least cover the expenses of running the property and hopefully allow for a profit. But that’s easier said than done. Although rents are high, would-be landlords looking to enter the rental market have had to consider that property prices are also high – which means large mortgages. The key factor for many landlords has been tax relief on the mortgage interest payments. Businesses pay tax on their profits, not their revenues, and since mortgage interest is a business expense for landlords, they could offset the mortgage costs against their tax bill. For example, a landlord has £50,000 to invest, so they buy a £200,000 house with a mortgage of £150,000. They can achieve a monthly rent of £800, which means that, according to the Nationwide Building Society, after paying the mortgage interest they will have achieved income of £2,160 – under the old rules. Under the new rules, that figure would reduce to £960. If interest rates rise, as seems likely, then mortgage interest payments will rise which means further cuts in profits. The impact on landlords will depend to a great extent on their income. For landlords who pay the basic rate of tax, with an annual income of less than £43,000, they will see no change. But landlords who pay higher rate tax will feel the pinch, and those with several properties that are highly leveraged will be most vulnerable. For career buy-to-let landlords, it may be worth considering setting up a limited company – but this will only be viable for new purchases. Transferring a property from the individual landlord to a limited company is a transaction which attracts stamp duty land tax, which would wipe out any potential tax advantage for most people. For advice on what the buy-to-let changes mean for you, get in touch with an IMC advisor today on 020 3553 9340 or email us at info@imcfs.co.uk.